Home Reviews Tradenet Review – Do They Live Up to The Hype? 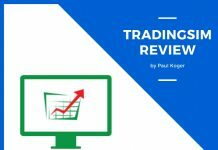 Tradenet Review – Do They Live Up to The Hype? So how does it work in real life? Is it really worth your money? We all know that story of a guy who thinks that he is smarter than anyone else and can be a successful day trader from day one and obviously doesn’t need any education nor training. These stories tend to end the same way with a big F word – “failure”. I have my bets on you not being of them as you found your way to this review, so please accept my warmest congratulations. Let’s have a look at what is Tradenet and how it can help you in your journey of becoming a successful day trader. Tradenet is an online based stock day trading academy and a live trading room service founded and run by a well-known trading guru Meir Barak. The company has earned its respect among other reasons greatly thanks to quite a long history as they will be celebrating their 15th anniversary this year. 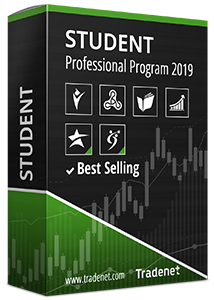 They offer new as well as experienced traders a large number of services including a complete education on day trading US stocks, a bunch of trading tools and one-on-one mentoring throughout different stages of learning. What is more? They also offer different funded account programs to choose from which I will introduce you in a short while. As I mentioned, the main man behind Tradenet is Meir Barak. This guy is a professional, trustworthy and down to earth day trader. He is responsible for a variety of areas in Tradenet, including acting as a chairman, chief trader and a professional mentor. What makes him stand out from the other trading gurus out there is his reputation for being transparent in everything he does. That is greatly thanks to the fact that he shares a vast amount of information in and outside of Tradenet platform on a daily basic. You can search for his Youtube channel and find tons of videos on different trading topics and daily livestreams where he shares how he actually does his trades. That is something that not everyone is willing to do and that gives him a lot of credit. For some more credibility, more than 45k people have subscribed to his channel which is quite a decent amount of public. 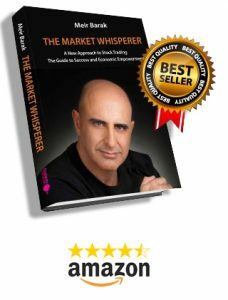 He has also written and successfully published a best seller called “The Market Whisperer: A New Approach to Stock Trading” where he again very open-mindedly shares his mindset as well as trading methods and profitable trading strategies. However, it takes more than just Mr Meir Barak to run this show. Behind Tradenet and Meir himself, there is a professional team of more than seven other top analysts. They assist Meir in both, providing education as well as acting as mentors for the customers. The VP of Tradenet with a long history of mentoring traders from all over the world. He takes care of the quality of training, account management as well as profitability. A skilled day trader since 2009 who also has an insane amount of experience as a coach and mentor. One of his favourite areas of teaching is risk management. A long time trader, mentor and analyst who is also popular in the German market thanks to his language skills. He completes the team as a specialist in Forex, US as well as EU stocks. A team with a resume like that increases the credibility of the platform which is in my opinion is kind of a must in a paid service such as Tradenet. We will get to the pricing in a short while. As you may have already guessed by the names, all of these differ on how much information you will have access to as well as how big amount of funding you will apply to trade with later on. Funding? Oh yes, we will get to this in a moment. It is also important to note that the different programs also specialise on different topics such as stock trading and forex trading so that is something you should take into account as well when making your choice. Let’s start off with the Intro program which will cost you exactly as much as $500. This package will provide you with the basics of your just about to start successful trading career. You will have access to a self-study course that consists of an online trading course and many training videos and other learning materials. You can choose your time and place and the level of intensity as all the materials are available for you 24/7. You will also gain access to Tradenet live trading chatroom where you can learn from the masters and start making your first moves based on their proven strategies. You will also be eligible to apply for a funded trading account of $14,000. And guess what? 70% of the net profits you will generate are for you. However, you have to be careful not to accumulate more than $700 of losses as when this occurs the account will be permanently closed. While the Intro program is great for self-learners, then the Student Program priced at $3,000 is targeted at the ones not so keen on learning by themselves. In addition to what you would get to when choosing the Intro program, you will also gain access to a month of mentorship sessions as well as the Star Trader Course. Remember the funded trading account in the Intro Program? Well, now are talking about slightly larger numbers. When opting for the Student Program you will be eligible to apply for an $80,000 funded account. The profit level rises from 70% to 75% and for keeping your account safe and sound you should keep your losses under $4,000. That means that you can start you career without investing anything yourself, the only thing you need to do is subscribe to the training. If you are looking for something more of an expert level then, as the name suggests you should aim for the Tradenet Expert Program. You will instantly double your time under the surveillance and care of a mentor meaning you will get 2 months of mentorship sessions. Another big step forward compared to the other programs is gaining access to the Forex Trader Course. 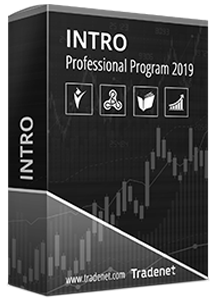 This is a high-value course filled with information that goes very much into detail and guides you on the rocky road of taking calculated investment risks on all the different trading markets. Now let’s get back to the funded accounts again. The Expert Program will set you back at $6,000, however you will have a unique and for sure a non-recurring chance to apply for a $160,000 funded trading account. This time you will be able to keep 80% of the profits, can you imagine? Just make sure you won’t let your losses reach $8,000 as this will cause the closure of the account and that is something you don’t want to happen after having invested quite a bit of cash to this program. And finally we made it to the most valuable program that Tradenet offers. 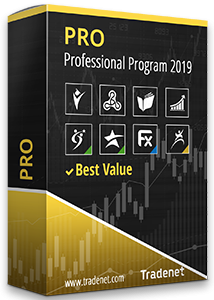 This is the Pro Program which will cost you exactly $9,000. 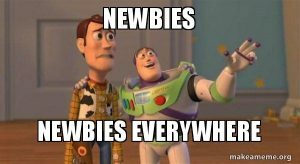 So what is new? What else do you get here that you didn’t get with the previous programs? According to Tradenet themselves, this is the package that is complete and includes all you really need to succeed as a professional trader. It has an addition of something called Top Trader Course that you will have access to for a period of 6 months. 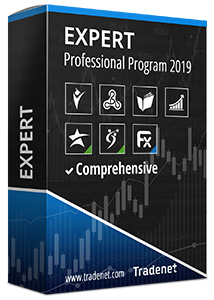 This course has been developed by top traders of Wall Street to really make you level up in your game of professional day trading. By completing this course you should really be ready to make a living out of stock trading. Doesn’t that sound something you have always aimed for? It is also worth mentioning that you will be able to use the mentorship services for a period of 3 months in total which is more than with any other program offered. When it comes to the funded account, you can apply for a $240,000 account and you have the right to receive 85% of the profits you make. The only thing you should not do is to let you losses fall under $12,000, that would mean that the game for you is over. When choosing one of the programs that Tradenet offers you are provided with a package of training and education a 14-days demo training account. 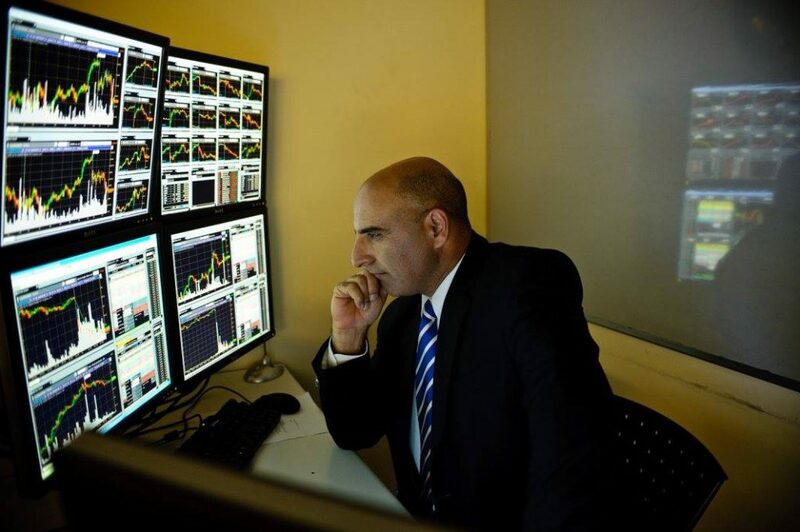 As mentioned you will also receive access to the live trading room where you will see the main man Meir Barak and the rest of his team members as well as other participants of the program doing their live market calls. I suppose you want to learn more about the live trading room, but don’t worry, I will shed some light on it in a bit. However, moving on with how the process works, after completing the courses and trading on the demo account you will be given a funded account from TEFS (that is the only option available and you cannot change this). You are not asked for any deposit and can you just start trading. That means that you are actually allowed to start trading with money that is on loan and it is as simple as that. That money belongs to TEFS and it somehow feels like if they had hired you for making trades for them, but the best part is that you actually get to keep quite a big part of the profits you make. Depending on the program you choose you will have the right to 70-85% of the profits which you can then receive on a monthly basis. Again, you have to make sure you do not reach a loss of more than X dollars that is determined by your program (it is actually 5% of the starting balance), otherwise the account will be closed down. The numbers in these different programs have seemed like quite a good deal, right? Did you already start planning you next holidays? Well, let’s go through how the funded accounts and revenue sharing works again, before you confirm your bookings. The cheapest program is said to grant you an account of $14,000 and the right to receive 70% profits on the trades you make. However, the account will be closed down as soon as you reach a $700 (which is a 5%) of loss. So in reality, this means that the account is actually just worth $700 with leverage of 20:1. So does it still sound as good as before? Remember you also have to give away a 30% of your profits so that will leave you with an account of actual worth of $490. 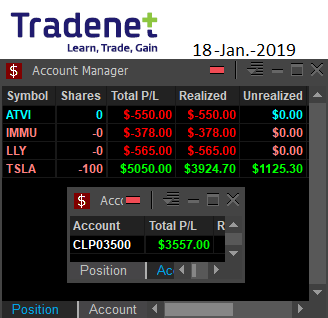 Furthermore, given the minimum margins, commissions and the losses that typically occur in trading, it is not so tricky to actually lose $700. And if that happens, it means your program has finished. Nevertheless, let’s look at the big picture again, you are actually getting a whole package of training, education and much more and besides that you are granted an almost free possibility to try to make your first moves in this crazy world. Not such a bad deal after all! As Meir is a big fan of following trends he normally trades in line with the prevailing price trends of the market. Momentum trading is not for everyone, however it forms a substantial part of Meir’s trading philosophy so you really need to take this into account when deciding to use any of his services. 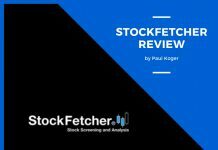 If you decide to go for the momentum, then you should pick your favorite market stocks among some of these, as they tend to perform well with this strategy: NFLX, IQ, BILI, DBX, PS, GOOS and CLP. However, if you are more of someone trading stocks in a roaring uptrend or if you happen to be a mean-reversion trader, then you should better look elsewhere. That being said, it is actually very important to feel comfortable with what you are doing. If it doesn’t come naturally to you then you will be having second thoughts with every other trade and you will be haunted by a constant feeling of uncertainty. And that doesn’t sound like a good base for a long and successful career, does it? Another trading style practiced at Tradenet is Gap & Go. This also happens to be the favorite strategy of Meir Barak himself. If you have had a look or are planning to take a look at his Youtube channel, then you might pick it up from there as well as this is the setup that he mostly uses for trading. 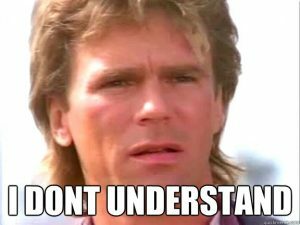 So what is this trading strategy all about? 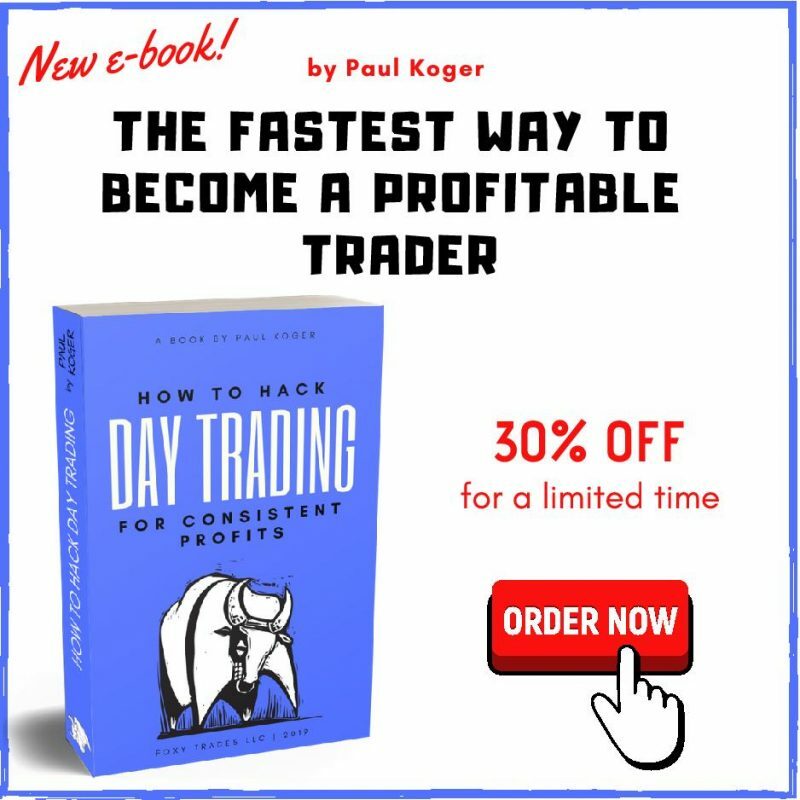 It is mostly used by traders that have been in the business for a longer time. The idea of this strategy is to take advantage of the market gaps which are areas on your chart whereby the stock price moves sharply up or down even when there is little or no trading happening in between. Skilled traders have developed an eye for seeing this gaps and have the knowhow of how to use them in their own interest for earning profit. If it didn’t sound like a piece of cake to you right now, then do not worry, that is what the Tradenet academy is for. And the last one on the list is consolidation breakouts strategy which is another great style that is also often practiced by Meir Barak himself. What is the strategy all about? Breakouts are areas where the price action leaves the boundaries of consolidation in order to find new price direction. In the consolidation zone the price basically heads sideways with the highs and lows located at the same horizontal level. This strategy can actually turn out to be quite profitable when practiced correctly. Of course, with the guidance and mentorship that Tradenet offers, you will easily learn this strategy and make your first profits within a short while. As you might already know, a chatroom is an important tool for any day trader. It is perfect for interaction with other traders and for keeping yourself up to date when it comes the latest callouts. So let’s have a look at the chatroom that Meir and his team are operating. The chatroom is opened to all the members every working day from 9:30 am NY time and is hosted by guess who? Of course Meir Barak himself and his analysts that I already got to introduce you earlier in this post. Normally the morning starts with a pre-market analysis and is followed by Meir himself or one of his core team members calling their own list of stocks. The members of the chatroom can then join in and for example name the stocks that they are interested in and almost instantly receive feedback from the analyst regarding if that would be a good trade. In addition to a normal chatroom function Tradenet actually has something more to offer. Meir actually shares his own desktop feed to all the members which means you can see him doing all the trades live in real time. That normally happens every day and for about 4 to 6 hours a day. He explains his decisions, replies to questions and goes through the charts. This is a dream come true for a beginner as you can really pick up a lot from observing his every move. And I have to say that after seeing the guy live and following his actions, there is not much more to say that he really owns the game as a host as well as a trader. There is, however, a downside as well when it comes to the chatroom. Did it just sound too good to be true again? Tradenet kindly offers a 14-day free trial of the chatroom to anyone who fills in his contact details which means that there is constantly a bunch of people who don’t have much clue about what is going on. You can see really awkward questions popping up and a lot of misunderstandings coming along with these. So let’s put it this way, you need some patience to find and grasp only the important information. Why do you think Meir offers a free trial while it can be a turn off for many? The answer lies in a really simple sales strategy, he just uses the free chatroom service as a part of his sales funnel to get all the newcomers buy his programs and continue their chatroom subscription. It’s all ‘bout the money as always. Another downside of the chatroom is the hefty price. If you subscribe to it separately (it is free for some time when you purchase any of his programs), then it will set you back at $399 when paying monthly or for $2,990 for a one-year membership which will take the monthly cost down to a shade under $250. I have to admit that there are a few cheaper options on the market. Tradenet is surely a great platform to learn from. The detailed training materials, videos, live streams and books are certainly of high quality and its interactive chatroom with its professional and truly transparent moderators is just a cherry on the cake. With that in mind the only real downside is the relatively high price of the programs. However, it is a fantastic opportunity for someone not on a budget. For sure I can say that Meir Barak and his team are a real deal and proven experts and there is loads to learn from these guys. You might want to start off with their 14-day free trial of the live chatroom and see if seeing the live stream of these masters doing their trades gets you convinced. You just need to fill in your contact information, no credit card information is required. 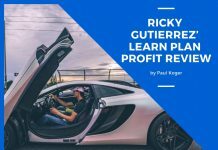 Previous articleTimothy Sykes Review – Legit or a Scam Artist?